Procter & Gamble is set to open a physical business incubator as part of P&G Ventures as a central plank of efforts to "disrupt the way we innovate". The studio would partner with M13, a Los Angeles-based brand foundry and venture investor, chief financial officer Jon Moeller said in a presentation to the Consumer Analyst Group of New York conference in Florida. The studio, he said, would "leverage external start-up capabilities and funding to support the growth of selected brands developed by P&G Ventures. "P&G Ventures will continue to own the creation of consumer-inspired innovations and concepts. The studio will incubate and develop selected brands into sustainable businesses that can eventually be folded back into our six business units." P&G Ventures has previously supported brands including Zevo, a device for controlling insects in the home; Metaderm, a botanical extract skincare product, and Opté, a "precision" skincare system that uses camera optics, algorithms and printing technology to scan the skin and apply treatment only to the necessary areas. Opté was one of several brands exhibited by P&G at CES in Las Vegas last month – the first time the company has appeared at the show. 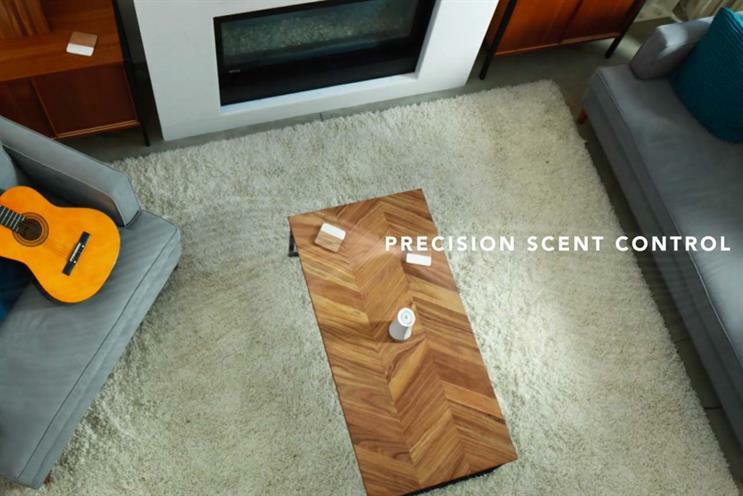 Others included Airia, a home scenting device that also uses printing technology to release tiny scent droplets designed to move with the natural airflow of the home. "For the first time, P&G showcased how we’re integrating cutting-edge technologies into products and services that will transform people’s lives," Moeller said. "Superiority and productivity are critical but insufficient to keep us ahead in a world with a rapidly changing retail environment, quickly evolving consumer needs, media ecosystem transformation and revolutionary changes in technology. We must and are leading constructive disruption of our industry across all areas of the value chain." Moeller said that P&G had been in the top 2% most searched exhibitors at CES, and its participation in the event had led to 273 media placements, more than seven billion earned impressions and more than 500 customer and partner leads.